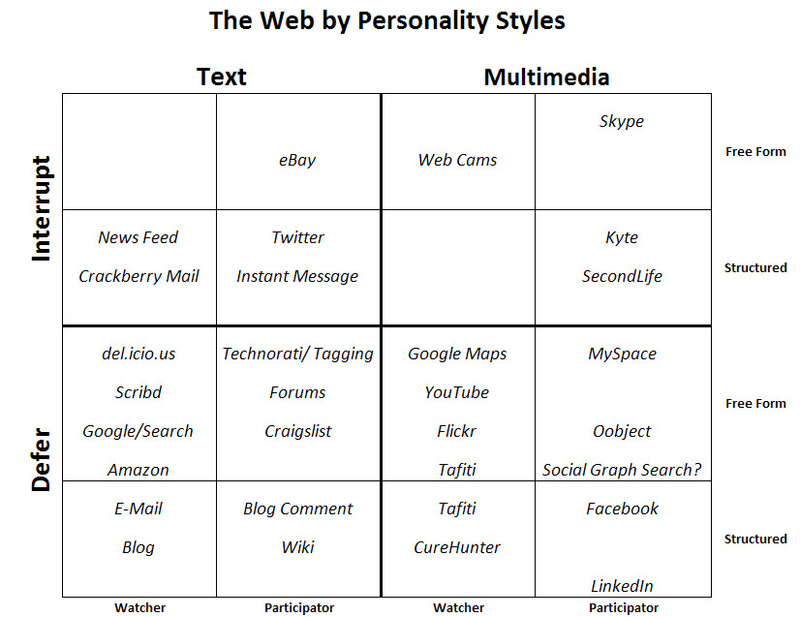 How Will This Web 2.0 Bubble Burst? The cries that the present Web 2.0 world is a bubble about to burst are becoming increasingly strident. Emotions are starting to run away, and sometimes it gets a little ugly with the name calling. We are at that classic point where bubble cryers abound and those who believe there is no bubble are becoming increasingly aggressive in their attempts to disagree. Doesn’t it feel just like it did the last time? What’s left to do to wrap up this bubble and move on? Bubbles don’t go away until everyone is in. It’s never quite everyone, but it’s so many that there’s nobody left to keep the momentum of joining going. When everyone is on the train, the next step is for something to falter. Something pretty big. In the last bubble, I remember IPO’s going off like clockwork, and then suddenly, at the peak of bubble mania, WebVan’s IPO faltered seriously. People who got pre-IPO shares lost money. I’m sure there were more incidents like this going on, but that’s the one I knew about. Picture the scene. Everyone is finally on the train. All the naysayers who had doubted you could make billions of dollars with sock puppets selling pet food had given up. They’d seen too many make those billions and decided what was happening was too big to fight, so they joined too. Then the train derailed. Look how fast a bubble can come unwound once that happens. One reason is all those naysayers. They got on knowing they shouldn’t have, and at the first sign of trouble they were facing naked fear. They never had the courage of their convictions, only the courage of seeing others succeed, and now they’d seen failure. Right where they used to predict failure would be. The latecomers were the pragmatists, not the visionaries. They are data sifters, not intuitive, and this new data of failure can make them change course on a dime. Thus begins the rush to the exits. The true true believers will stay on long after it’s too late. They were visionaries, not pragmatists, or they wouldn’t have been there in the first place. They fly on intuition, and while the situation may smell funny, it’s hard to shake a strong intuition. They don’t operate on hindsight. They usually don’t spot the trouble coming as easily as they create a new direction. The threat is that the wide eyed optimism that fueled the bubble in the beginning will be gone and it will take more than vision to keep going. That’s a rather emotional view of what happens, but it is a natural outcome of a competitive system reaching equilibrium. How can we tell what stage we’re in? Watch the fast followers: they are the canaries in the coal mine. They’ve eliminated the bad genes that the first movers mistakenly had in their formulas and kept only the good. We know we’re in the fast follower stage when we read about new companies that are endless combinations of familiar things. When was the last time you heard of a fundamentally new thing like a Wiki, Blog, or Social Network? Maybe we count the video stuff like Joost, but it has fast follower Hulu. The fast followers are the sure sign that the white space green field open running is done, and it’s all about competition. Huge markets will sustain a certain amount of competition without impacting growth rates, but eventually, fatigue sets in, there is minimal differentiation, and people give up looking at new things and choose the market leader. The market leaders will survive the bubble. They will even prosper as markets shed competitors that were a dead weight on their growth. Market leaders will have reached enough critical mass to weather the bursting and emerge stronger than ever before. This is one reason why folks like Jack Welch have said the time to invest in growth is during adversity when others are cutting back. Your growth investment goes so much further if you’re actually in a position to be a market leader. Given all the angel money and bootstrapping, this is a funny age. The last bubble saw lots of IPOs and hence tremendous collateral damage was done to non-combatants. This time we’re seeing mergy frenzy. It isn’t so much the non-combatants as market leaders from the present (Google) and the past (Microsoft) that are providing the exits. Hopefully there will be a little less irrational exuberance as these companies use the tool of acquisition to fill out their portfolios and compete with one another. Perhaps we’ll have a kinder gentler bubble bursting, but the end result will be the same. Only a few in each category can survive, it may just take a little longer and involve less sound and fury getting there. The properties are clearly laid out. Note that there are many more services out there that fit in a given square than I’ve listed. Some of these are already taken. Master moves such as Microsoft acquiring Yahoo would fill in many squares with a single stroke. But, such a combination raises the issue that properties have to want to get bought at a valuation that is compatible with the purchaser’s pocketbook and notions of propriety. This is starting to happen when we see deals like Zimbra. It was a good multiple for the VC’s, but nothing spectacular. Clearly they were becoming concerned their niche was getting crowded with bigger players and their ability to compete was diminishing. So it will be as each acquisiton plays out, others in the space become increasingly nervous. It is a game of musical chairs and there are not enough seats for everyone. Remember too that these are largely private companies. Public companies can be coerced under the duress of fiduciary responsibility to be reasonable. Oracle has polished this to a fine art, and the backlash for those who resist is painful and ultimately futile. Just ask Dave Duffield who fought hard to keep Peoplesoft out of Oracle’s clutches. No, in this case, we’re dealing with founders and investors. It’s largely a game of fear of failure versus the bird in the hand. The right chemistry is in place. People are starting to wonder about the bubble, and there are some WebVan-like events too as we look at events like eBay’s spectacular failure with Skype. There are subtle clues too. Why was the story on Microsoft’s initial Facebook investment $500M but the final figure was $250M? The canaries are beginning to nod off in their cages. Best not to go too much deeper into the coal mine! Stay tuned, as I have a post I’m penning on where I think the next big bubble opportunity will be. It’s a doozy, it’s a logical progression, and it may even be near term enough to keep this market going strong on some slightly different cylinders. R/W Web asks, “Are we still changing the web?” When I took the poll, 33% said there’s still plenty of innovation, 28% said it’s slowing, and 22% said there was not enough. Given that the audience for this is probably a little skewed, I’d say there’s still some sand in the hourglass. OTOH, the author, Richard McMannus, drags a lot of things into this category that I don’t think belong, such as SaaS, Utility Computing, and the Mobile Web. They are phenomena in their own right that are on a separate bubble clock and not so far along. They are driven by forces other than Web 2.0 and can continue on if Web 2.0 falters a bit. Mobile, I suppose, can prolong the mainstream Web 2.0 by increasing access to it. But ask yourself, how good a job did Blackberry do reinvigorating email? This entry was posted on October 30, 2007 at 3:08 pm	and is filed under business, strategy, Web 2.0. You can follow any responses to this entry through the RSS 2.0 feed. You can leave a response, or trackback from your own site.